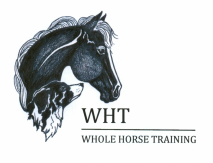 If you would like to submit a testimonial for this web site, please answer the questions on the PDF questionnaire, sign the publishing release and submit it with a picture of your pet or yourself with your pet. I will edit the content into the format you see below and post it as soon as possible. If you can't scan the completed PDF, you can mail the form and picture to me, just click the button above to request my mailing address. Thank you all for your support and feedback. obviously dislocated. I started by imagining a Chopart joint in the bend I assumed would be like a hock and unwound a twist in the bones and joints through the stifle and the femur. (? Sorry, my poultry anatomy wasn’t on the tip of my tongue.) The hip joint was “out,” meaning it felt as though the femur was not seated in the ball and socket joint, and it readily followed the invitation to return to its proper place which brought the entire leg back into line. With the leg in place we set her down. She appeared confused and tried her leg out but still did not want to use her foot. Further investigation led me to believe she had a broken toe. Comparing it with the other foot was the only way to assess the extent to which it was swollen and there was heat in the largest toe. I gently covered the foot with my hands and imagined energy circling through each toe with a focus on the idling rhythm and empty/fill patterns I know from my ANT bodywork techniques. Cindy dosed her with homeopathic Symphytum officinale, also knows as comfrey, knit-bone and bone-set, and put some in her water. We set her back in her hiding place hoped for the best. And, she is fine, which is a good thing because I get my eggs from Cindy and we want the girls happy! ​This little lamb was not doing well. Her mother was not interested in nursing her and she was being bottle fed, but wasn’t moving very well or often and was lethargic. Cindy asked me to take a look at her. When the little lamb stood up, I could see that her ribs were all poked out to the left side and her body was curved around and crooked. She wasn’t lifting her head and walking looked to be uncomfortable. Her breathing was extremely rapid and she was stressed. I held her in my lap, (She was very friendly due to the fact that she was being bottle fed several times a day.) and Cindy’s Border collie, Jesse, moved in to help, as you can see in the picture. I began with a Heart Roll and AV Twist and followed the empty/fill rhythm along her spine. Her thoracic vertebrae were tight and there were multiple side bends and rotations in them, but they released readily as I moved along her back. Next, I focused on releasing a few of the rib heads, lumbars and her little sacrum was jammed forward and down. She was relaxing and the bulge in her rib cage lessened. I also released her diaphragm and did the first part of a Shock Protocol. With that, her breathing slowed and I gave her kiss on the head and put her back in the pen to rest. 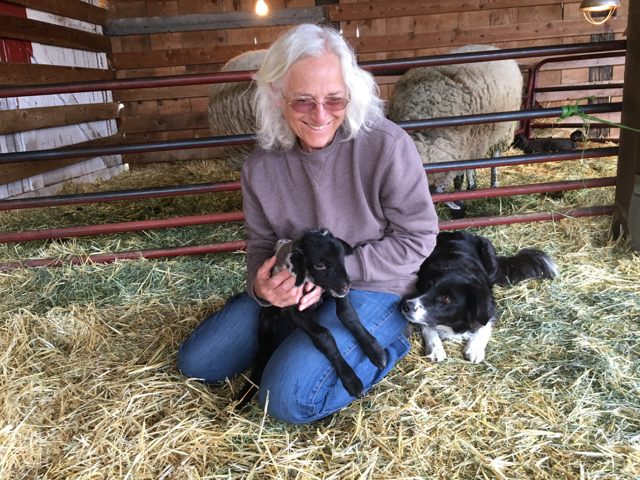 Cindy reported immediate improvement in the lamb’s enthusiasm for life and, when I saw her a few weeks later, she was cavorting with the rest of the flock and growing like a weed. JR, Stephanie's rescued Rock Dove, was attacked by her Macaw parrot and was unable to bear any weight on his right leg. A veterinary diagnosis found no broken bones but suspected a possible torn tendon. JR rested for 2 weeks but was still unable to stand on his leg and muscle atrophy was apparent. The addition of a support wrap and homeopathy brought some improvement, but the little guy was still limping badly. ​I had been out of town and was called in as soon as I got home. Even in that tiny little leg, I could feel a twist that responded remarkably well to FIT. JR began walking better immediately and continued to improve during the next week. During a second session I found that JR had also jammed his neck, probably during the parrot incident, and the unwinding of that element of the injury was profound. He immediately began moving his head around in all directions and seemed to be enjoying himself. As Stephanie pointed out, "JR started cooing which demonstrated how much better he was feeling...(while) in the back seat of my car, thus out of his home environment..."
​After the first session with Nancy "my husband commented on the improvement in JR's attitude as he became more interested in activities around the house and seemed to be feeling much better." "I have been friends with Nancy for nearly 10 years and have marveled over her personal growth with energy healing. She has helped my horse, dogs, cat and now bird. I've had the honor to witness her healing with many other animals over the years and have always been amazed at their immediate improvements with mobility and attitudes."